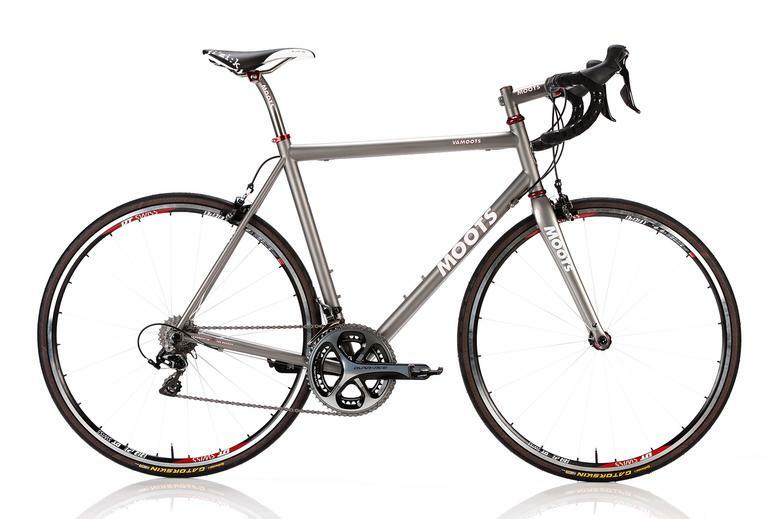 With over 30 years of experience their vast experience with titanium is apparent from the moment you first see a Moots frame. 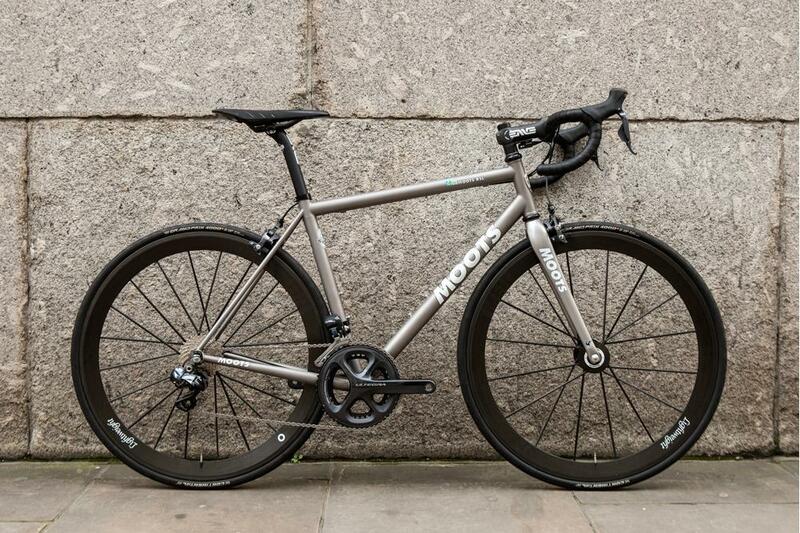 There are some beautifully made titanium bikes out there, but Moots really do take it to another level, their satin bead-blast finish makes for a supremely elegant frame. 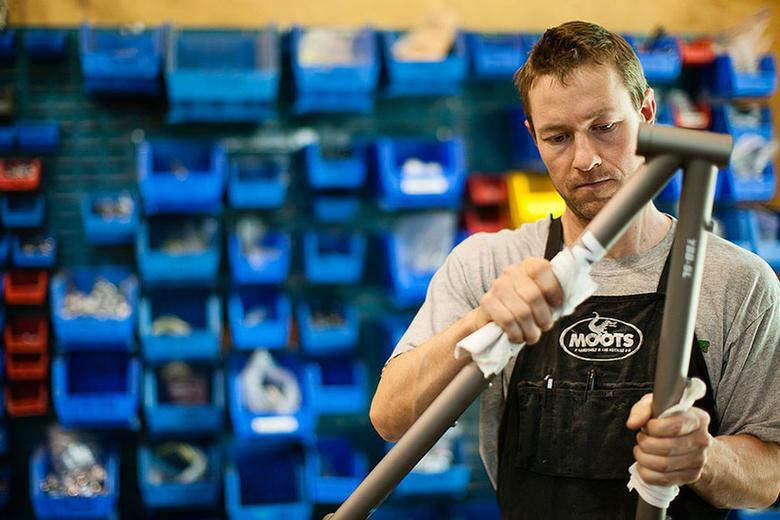 Moots only use US-made seamless cold-worked, stress-relieved 3/2.5 and 6/4 alloy titanium tubing, and their double pass welding process gives a stronger weld as well as looking exceptionally neat. As always the process begins with a bike fitting, here at Bespoke. A variety of stock sizes are available from 48cm to 62cm, with custom sizes available for special order, so we can ensure a perfect fit. 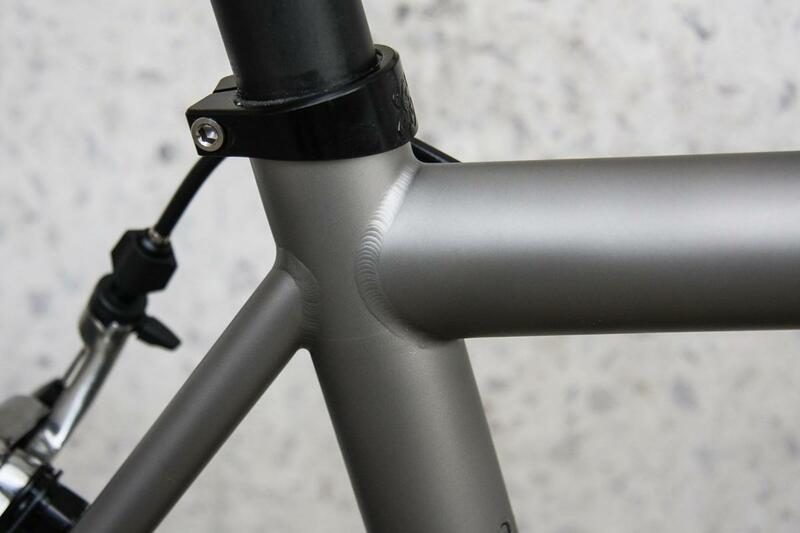 Custom options are also available, such as internal electronic compatible, wireless shift routing, pump peg, chain hanger, custom sizing, +1cm head tube length, etched or polished finishes, plus 5 color choices in the new anodized finish option. Each tube miter and each weld, in every single frame we build, is done by hand. Checked by hand. Finished by hand. Polished by hand. Only then do we apply our head badge. By hand, of course. Pure road performance. Stiff and light, tight handling, fast acceleration with a smooth, balanced ride and titanium durability. 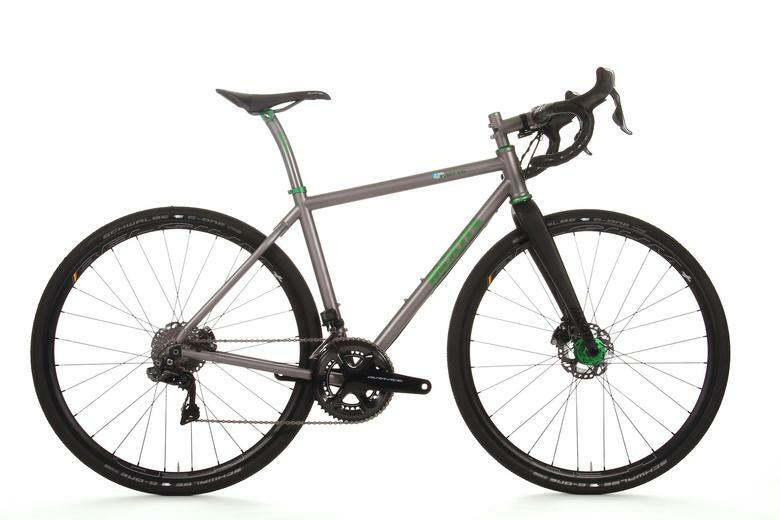 The Vamoots RSL is the pinnacle of the Moots road line. Incredibly lightweight, the RSL uses Moots's own proprietary, butted titanium tube set, reducing weight and maintaining stiffness and durability. 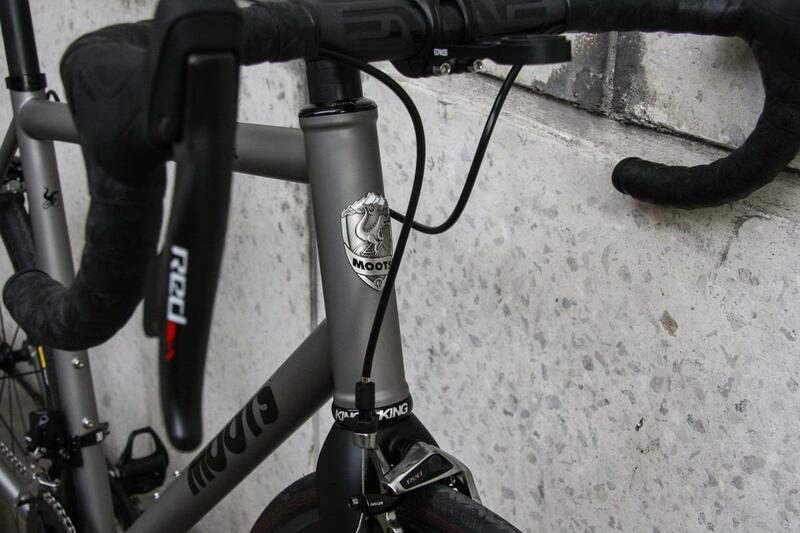 This butted tube set combined with their tapered technology maximizes bottom bracket stiffness for quick acceleration. With nine sizes and nine designs, all angle, tube lengths, tube diameters and wall thicknesses are size-selected to create the perfect ride. That's as standard for Moots. Custom options are also available, such as internal electronic compatible, wireless shift routing, pump peg, chain hanger, custom sizing, +1cm head tube length, etched finish, plus the new anodized logo options. 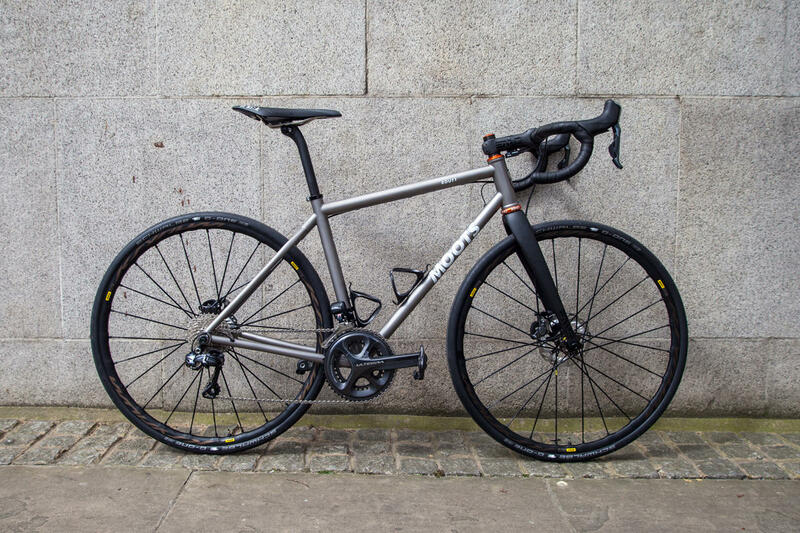 Other Vamoots models are available, including the RSL Disc, the CR which uses a less premium tubeset but keeps the racy geo, and then the more endurance oriented Vamoots (caliper) and DR disc models. 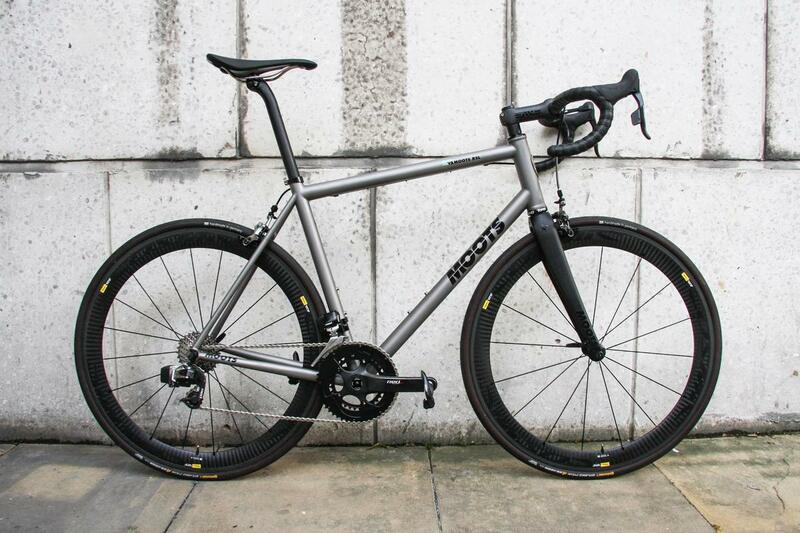 A Moots is a bike for life. Get in touch for more details on the RSL or any of the other Vamoots models. 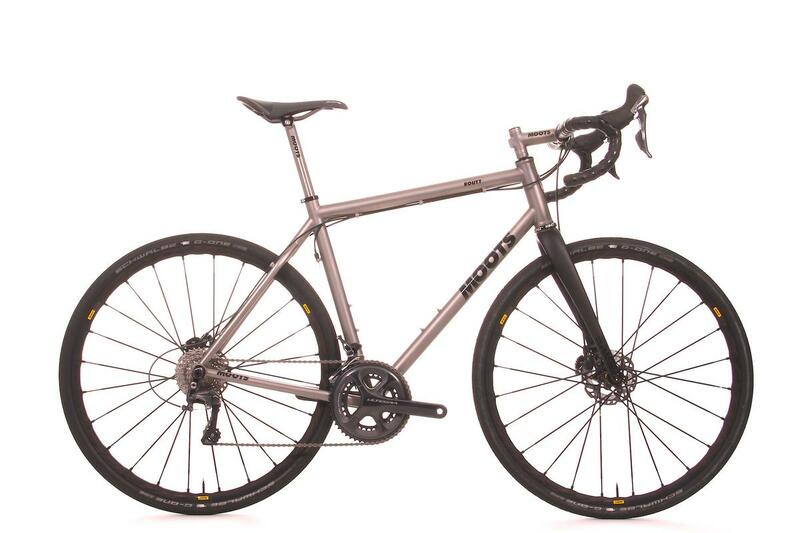 The Moots Routt is a popular choice at Bespoke, offering more versatility for riders who sometimes want to get off the road and explore a little. Gravel, dirt and double track, the Routt is about mixing it up a bit. Perfect for long-haul rides, light touring & bike packing, with up to 38mm tyre clearance you're good to go. The Routt is an evolution the Psychlo X race bike, but built a little lower, more stable and primed to explore all the roads less travelled. 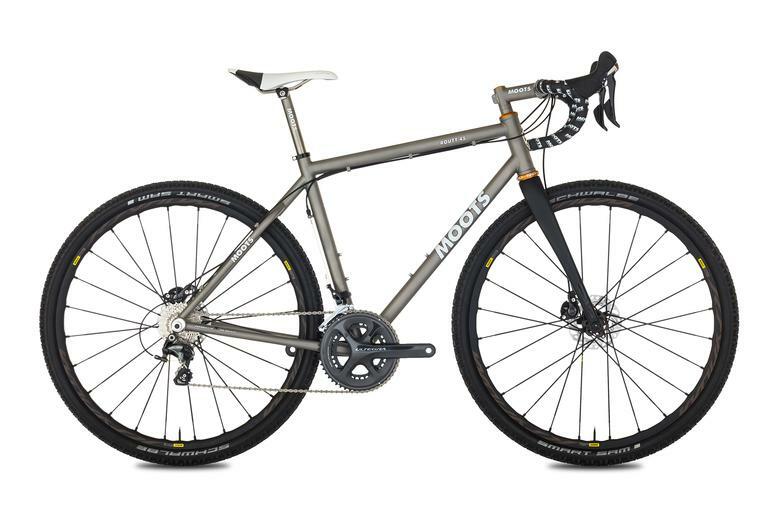 Moots titanium won't let you down. 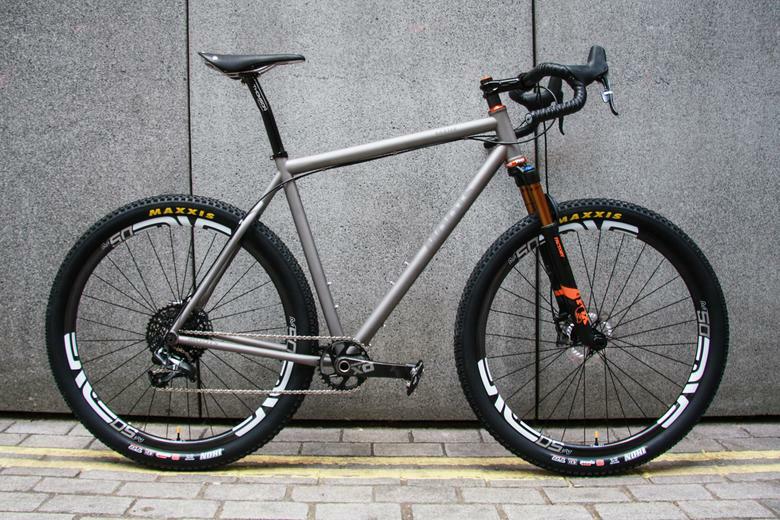 Fitting 23mm skinny tyres up to 38mm fatties, this is the true multi-tool of bike designs equipped with disc brakes and thru-axles. 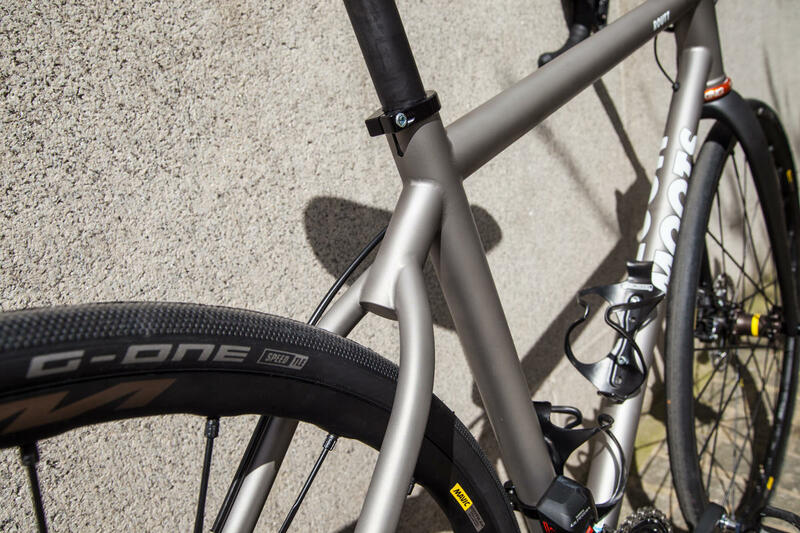 The Routt RSL ups the ante with lighter, super premium tubing and a more aggressive geometry, while the Routt 45 takes things further off road, with clearance for 45mm nobbly tyres. 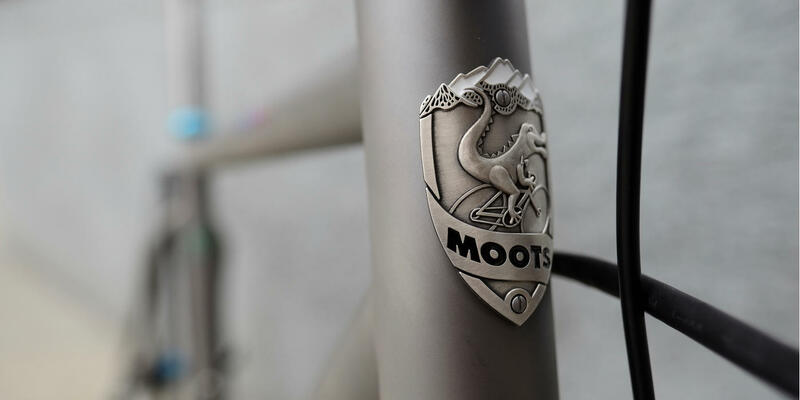 As always, Moots offer many additional options: electronic compatible, stopless/wireless shift routing, third water-bottle mount, rack eyelets, pump peg, YBB suspension, custom sizing, + 1cm head tube length, S & S couplers, etched finish. Come and see us about your own Routt. 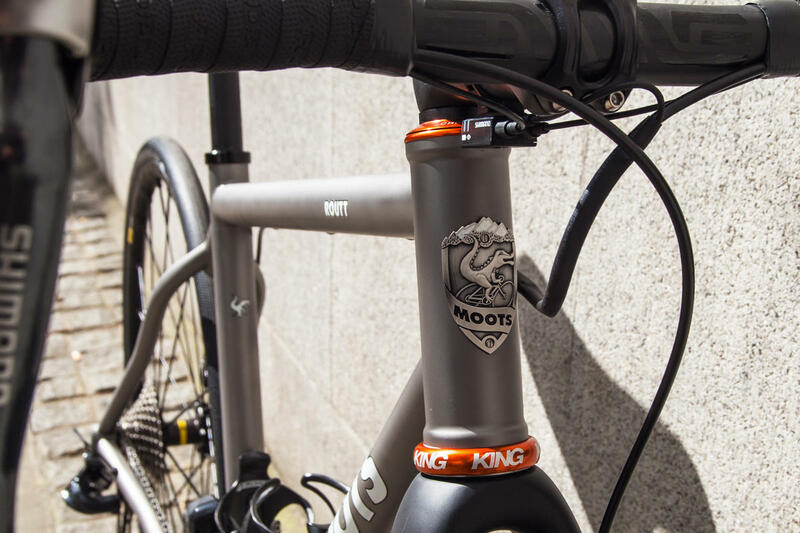 Moots Baxter 29 - dirt drop bar, bike packing, trail crushing, titanium 29er! 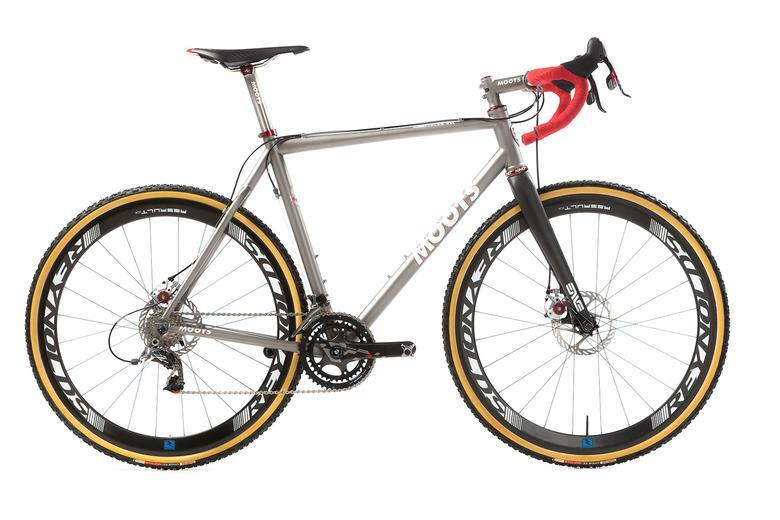 Moots Psychlo X RSL - the ultimate aggressive titanium cross bike. A legend.